Have you ever wondered what the ears of a devil look like? Yes me too. In this case the Tasmania Devil. They’re kind of cute, don’t you think? 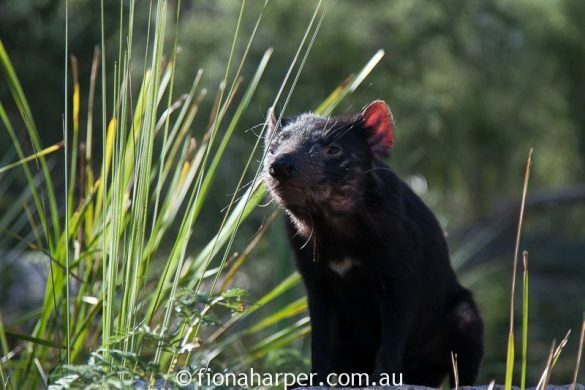 In conjunction with the University of Tasmania’s Menzies Institute for Medical Research and the Save The Tasmanian Devil Program (STDP), the Saffire Tasmanian Devil Experience offers guests the rare opportunity to encounter the iconic creature, and to participate in the quest to save this endangered species. Saffire Freycinet, only one of Australia’s most awarded boutique hotels, will support critical research in an effort to save the iconic Tasmanian Devil from extinction due to Devil Facial Tumour Disease (DFTD). 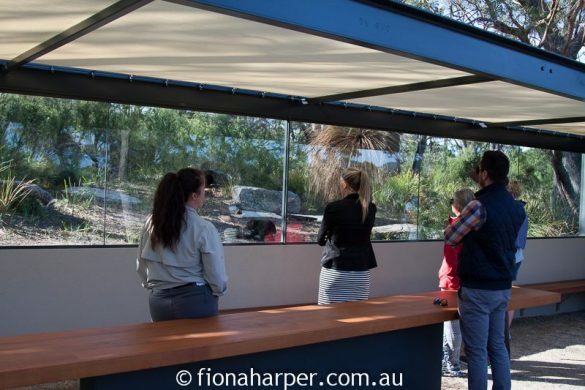 Late last year they opened a one-hectare purpose designed enclosure a stone’s throw from luxury guest suites. 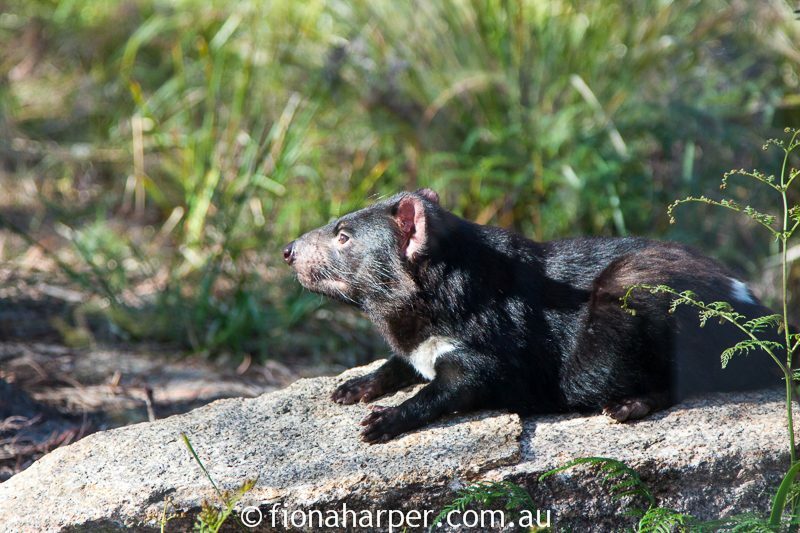 Guests have the opportunity to see the devils up close, in an environment that reflects their natural habitat. With names that make them sound more like family pets than wild animals, Murray is the star of the show. 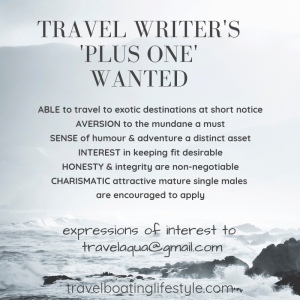 He’s a cheeky little devil seemingly with a fun-loving personality. Or perhaps that’s just us humans trying to humanise wild animals, as we do. 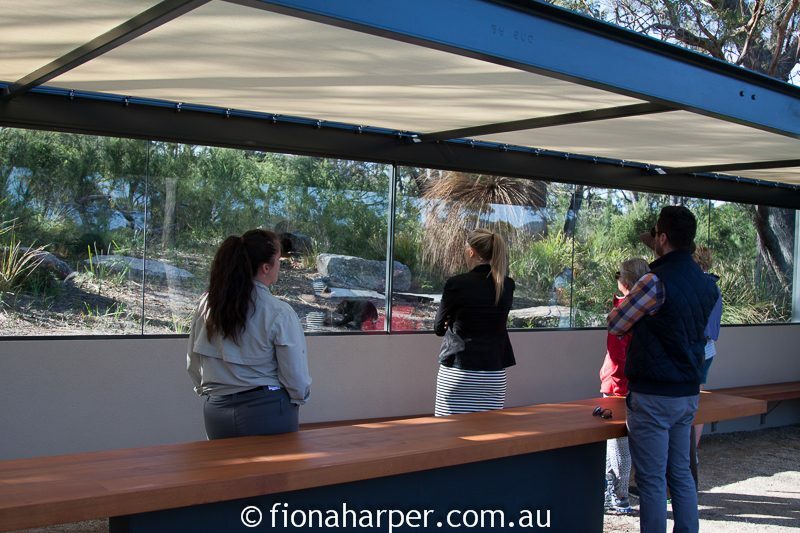 Led by expert trained guide Nicole, guests can now visit Saffire’s open-range devil enclosure and observe them as they feed and play. Nicole gives an informative commentary about their habits, describing their individual personality traits. 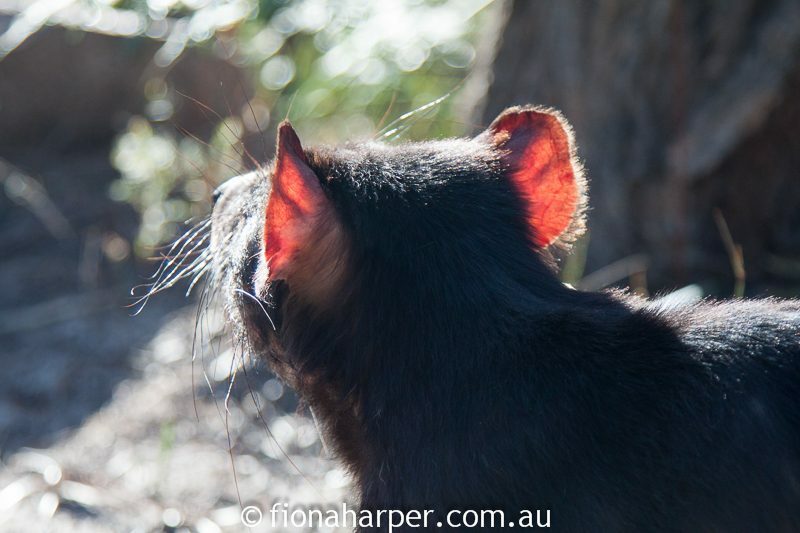 She shares stories of the Tasmanian devil – the world’s largest carnivorous marsupial – and the crucial effort to find a cure for the Tasmanian Devil Facial Tumour Disease – the rare and contagious cancer that is threatening the Devil’s survival. It’s clear that she’s very fond of the four devils within her care. Additionally, guests have the chance to contribute to Saffire’s management and observation of the devil population by participating in a visual health inspection of the devils. They learn how to recognise individual devils as well as how to use direct observation and remote camera imagery to identify and check each of the resident animals. The experience is designed to educate participants on the vital work of the STDP and the critical research of the Menzies Institute and Professor Greg Woods. Saffire is a key partner in Dr. Woods’ quest to find a vaccine for DTFD, and guests will discover how to be a part of the ongoing work to secure the survival of this iconic species. Recently named the Best Overall Boutique Hotel in the World at the World Boutique Hotel Awards and the Top Luxury Hotel in Australia by TripAdvisor, Saffire Freycinet is part of Tasmania’s Federal Group and has become an iconic statement of luxury that has taken the state’s tourism to a new level. 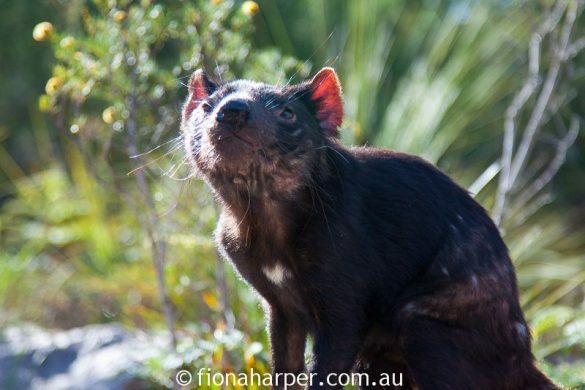 These recent accolades allow Saffire to further increase awareness for conserving Tasmanian wildlife that is an integral part of the Saffire experience.